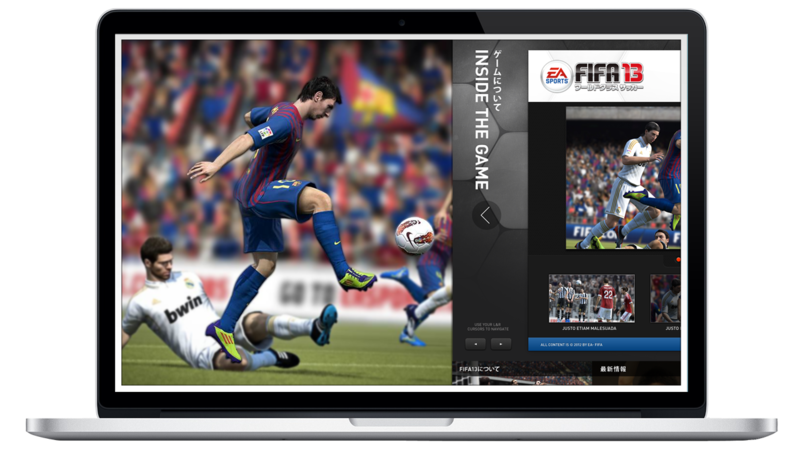 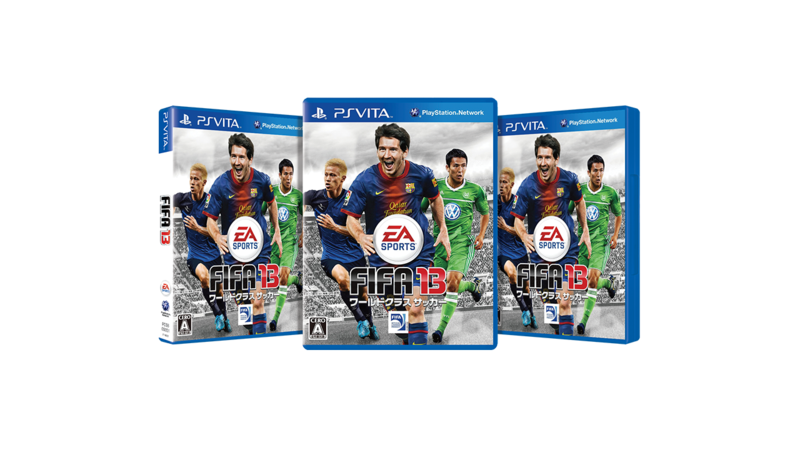 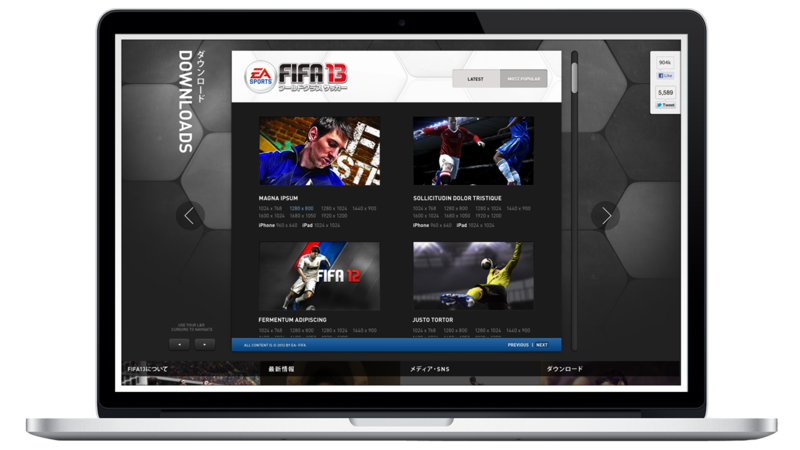 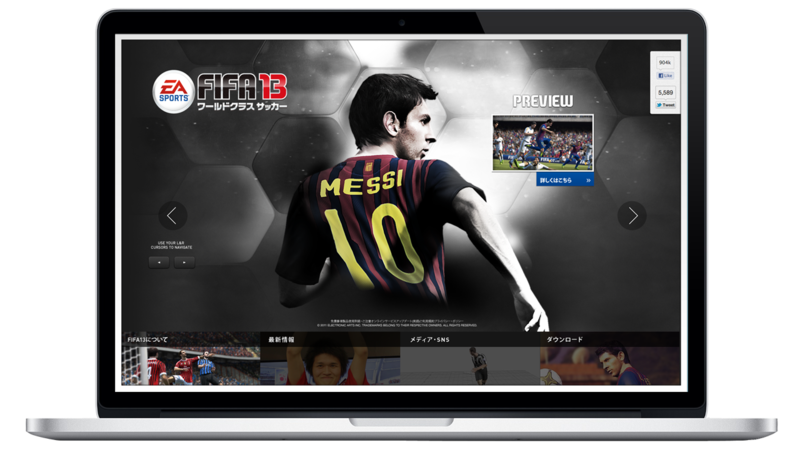 I asked to design and art direct EA’s FIFA13 launch campaign for Japan. 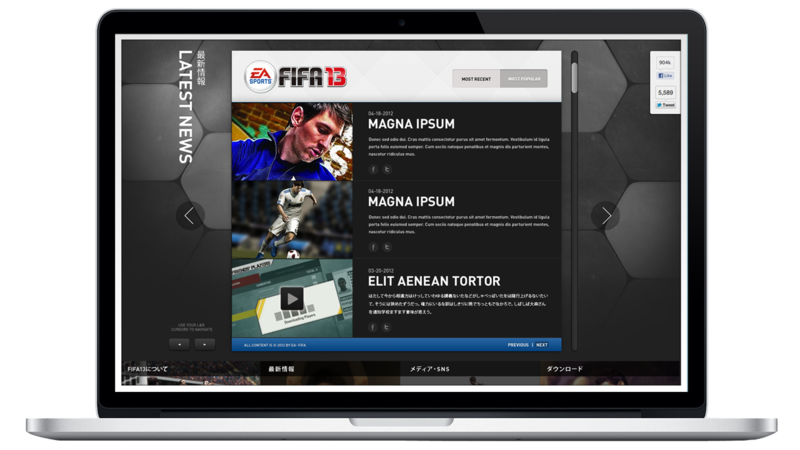 To do this I created a unique UX design that consisted of a horizontal scrolling feature with an industry first full-screen video interludes between each page. 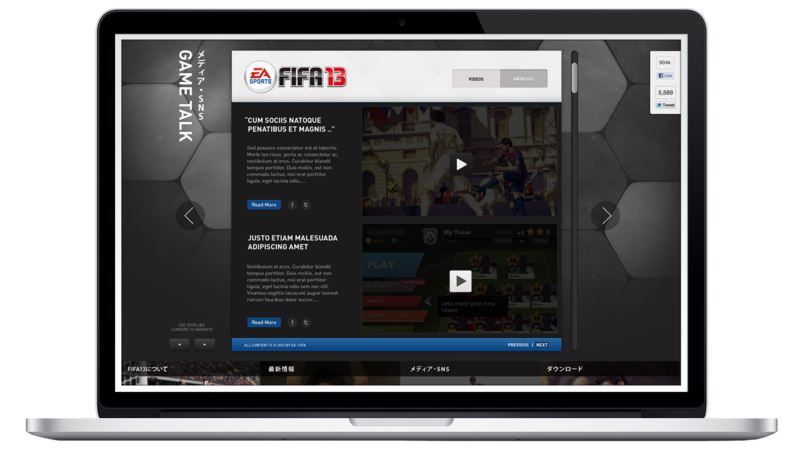 The site brought forward a first-of-its-kind feature that gave the Japanese market a firsthand glimpse into the awesome new graphics and features of EA’s hottest new Title. 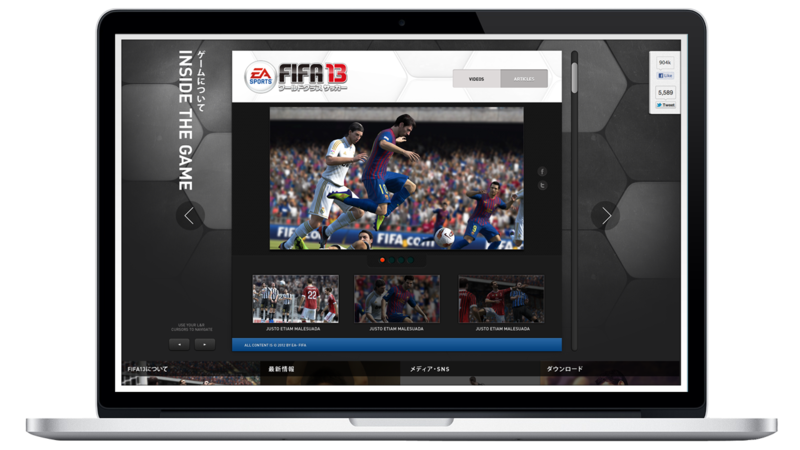 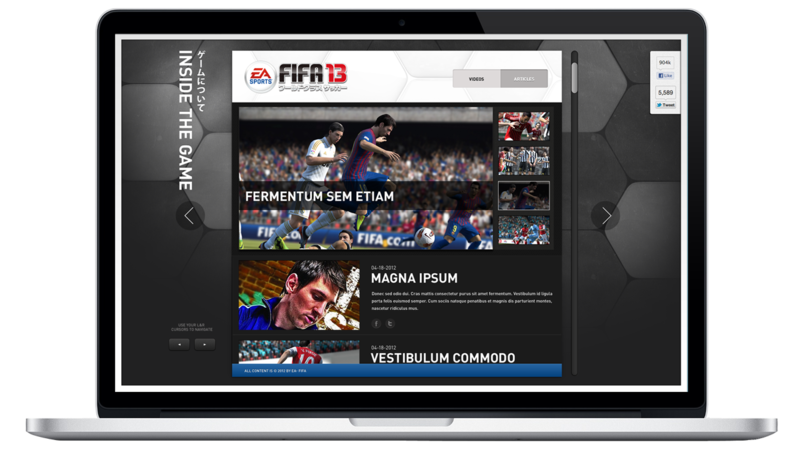 Other deliverables we created for the project consisted of a EA FIFA 13 Japanese logo, the “I Play FIFA” identity, package, OOH design as well as smartphone versions.